Angelina Johnson, of University Place (Pierce County) hugs Honey, an Anatolian shepherd mix that was brought into this country earlier this year from Iran. After several months of obedience training, the once-scared dog has become a confident, loving companion for Johnson. “She’s my Iranian princess,” says a 23-year-old smiling Angelina Johnson, while cuddling 72-pound Honey, an Anatolian shepherd mix, following an obedience class at Paws-Abilities Total Dog Center in Fife. 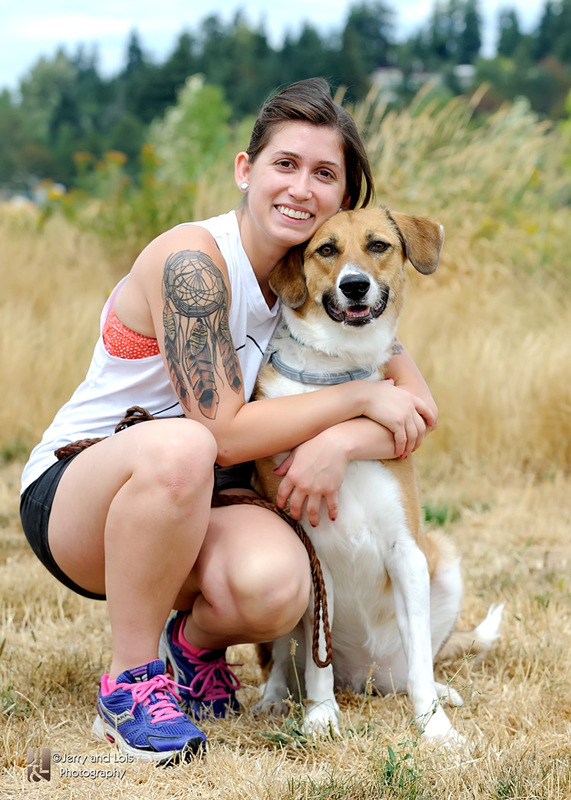 “She has blossomed into my best friend and partner,” adds Johnson, a 23-year-old University Place (Pierce County) resident who adopted the dog from Saving Great Animals, a Seattle-based pet-rescue organization, in February. 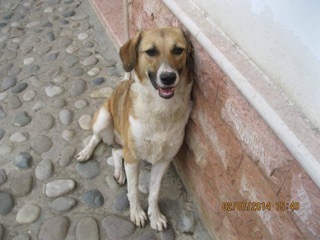 Originally named Hannah, the dog came from the Noor Shelter in Northern Iran, where she had been found on the street as a puppy and eventually brought to the facility. “The plight of dogs in Iran is quite horrific,” says Jacintha Sayed, director of Saving Great Animals, “as many areas in the country forbid people to own dogs as pets. Hannah (since renamed Honey) rests in an Iranian animal shelter, after being rescued in the streets with two broken front paws. The Seattle organization, which rescues many local animals, too, works with representatives of several shelters in Iran, a country with which the U.S. does not have diplomatic relations. These contacts reside in North America but maintain a close association with shelter personnel in Iran. Saving Great Animals has placed six Iranian dogs thus far. “Anyone who learns a little about the plight of these dogs would agree that you cannot turn your back on them,” adds Sayed. Saving Great Animals, a 501(c)(3) charity, was alerted by representatives from two shelters about Hannah and asked to find a home in the U.S. for the animal, which had two broken front paws necessitating surgery in Iran. It took almost six months to find a Lufthansa Airlines traveler willing to bring her to North America, says Homa Irajpanah, of Federal Way (Mehr Animal Shelter representative), who helped coordinate the rescue. Iranian good Samaritans in Seattle must find a passenger who is traveling to the U.S. and who is willing to allow the dog to travel on his/her ticket. Flight expenses are paid for by donations. Costs are approximately $800 per dog; the typical trip from Iran to Vancouver, B.C., or Seattle takes approximately 24 hours, including Customs documentation. Hannah was flown to Vancouver (from where she was transported to Seattle by a Saving Great Animals volunteer and representative for three Iranian shelters, Farid Aram,) in January. All dogs transported here are fully vetted in Iran with vaccinations and undergo a complete health examination. After being placed short-term in a Seattle-area foster home, Hannah was adopted by Johnson, a retired soldier who was injured in a combat exercise at Fort Bragg, N.C., in 2012, necessitating hip surgery the following year. 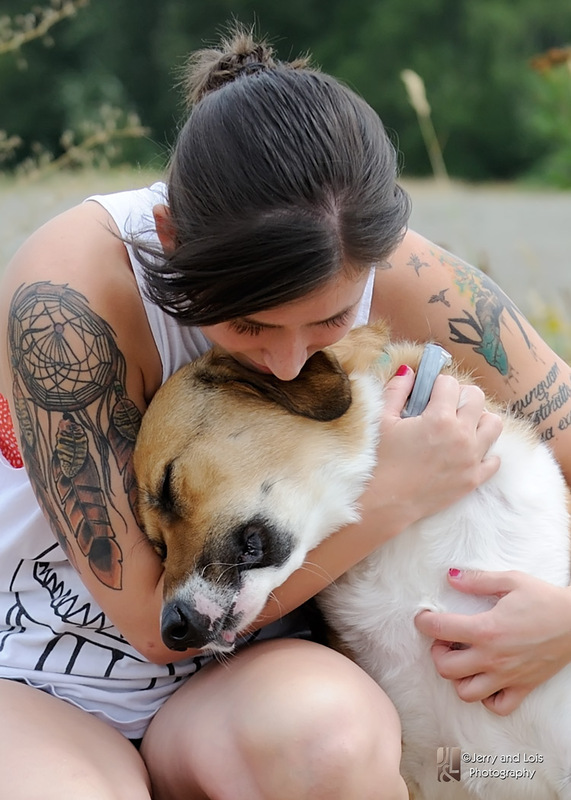 Upon leaving the military and returning to this area, she began yearning to get a dog. “I was looking for a rescue dog and found Hannah on petfinder.org. I met her first-hand at a Renton park. Johnson and Honey get ready for a class instructor’s command at Paws-Abilities Total Dog Center in Fife. Upon adopting Honey, socialization and control were key priorities for Johnson, prompting her to enroll the dog in beginning obedience classes at Paws-Abilities in May. Following an obedience exercise, the two enjoy some hands-on relaxing time. 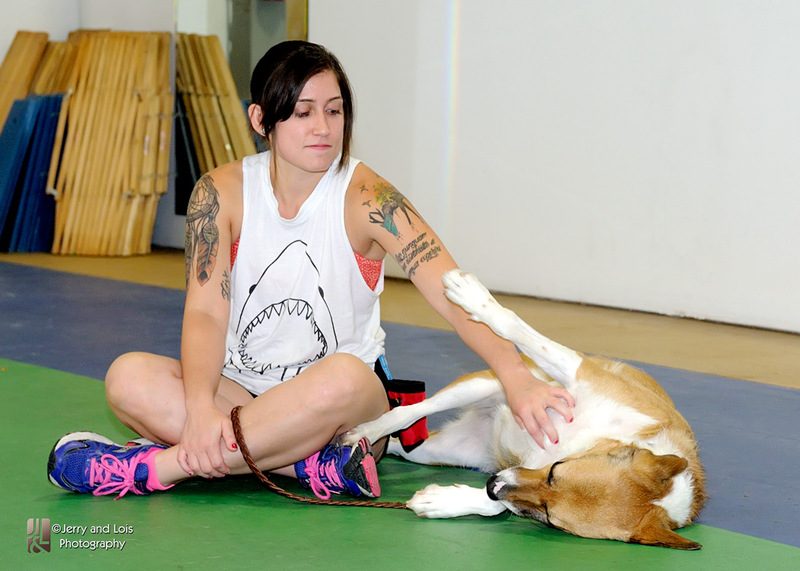 Paws-Abilities trainer Dana Babb recalls her first meeting with Honey. “It was in our parking lot, and she was terrified of everything – people, the wind, shadows. She was completely overwhelmed. “It took some coaxing to get her near the front door. She went back and forth between trembling and stiffening. It seemed she was literally waiting for a bomb to drop. The noise from a truck at a business next door seemed to be the trigger. To minimize Honey’s fright, Babb conducted the initial consultation in the parking lot with calming techniques and gentle handling skills. There was no eye contact or attempt with interaction. Nor would the dog accept treats. 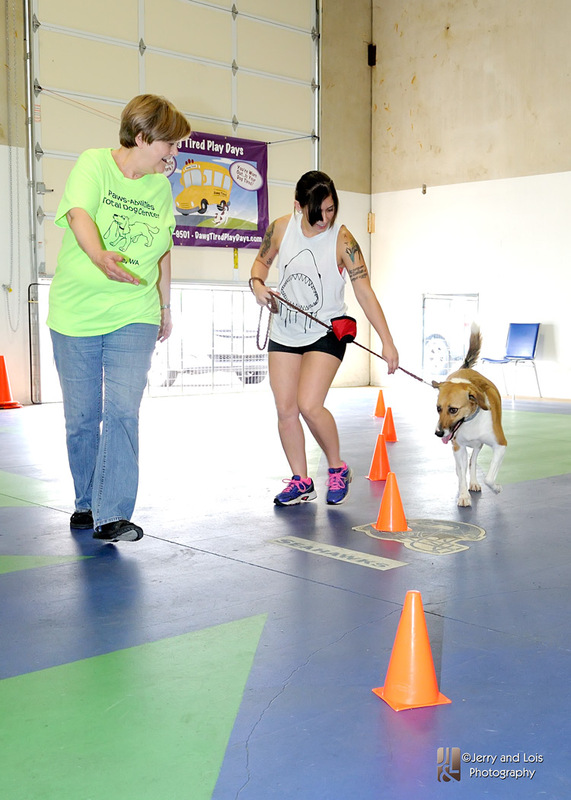 Paws-Abilities trainer Sher Yeuroukis helps guide the pair through a series of cones. In subsequent weeks Honey was eased into a kindergarten obedience class, aimed at attracting a name response, gentle eye contact, touch and recall games. “I wanted to overlay her memories with use skills but with more emphasis on fun,” explains Babb. This involved the mechanics of sit, down and walk just like a puppy would learn. Hoops, boxes and other items were scattered around to help strengthen her leg muscles that had been atrophied in Iran following two broken paws and surgery. “Honey soaked it up like a sponge while Angelina did an amazing amount of work. Johnson and Honey strike a pose after a short walk following class. “Throughout the process, the teamwork and trust between the two have been amazing. Honey demonstrates what ‘living in the NOW’ really means. This once scared-stiff animal is a tail-wagging, happy girl who went on to take a basic obedience class with more than a dozen dogs and owners.” The pair next completed a beyond basic and rally class.